IRVINE, Calif.--(BUSINESS WIRE)--Student gamers everywhere can now matriculate in a full schedule of college esports programs, as Tespa, Blizzard Entertainment’s college esports network, has revealed its lineup of tournaments and events for this year, including the fourth edition of Heroes of the Dorm™. With programs for Hearthstone® and StarCraft® II in addition to Heroes of the Storm®, Tespa will award more than $1 million in scholarships and prizing by the end of the 2017–18 academic year. Now in its fourth year, Heroes of the Dorm is introducing regional play. More than $500,000 in scholarships and prizes are up for grabs in this premier collegiate esports competition. Regional winners and other top teams on the national leaderboard will be seeded into the 64-team National Championship bracket. The battle for the Heroes of the Dorm National Championship—and for the scholarship money each player receives for the remainder of their college careers—will be fierce. Fans can watch all the action on both www.twitch.tv/blizzheroes and www.mlg.com. In a one-of-a-kind broadcast partnership with Raycom Sports, Heroes of the Dorm will have a dedicated, nationally-syndicated program during a five-week period of competition. 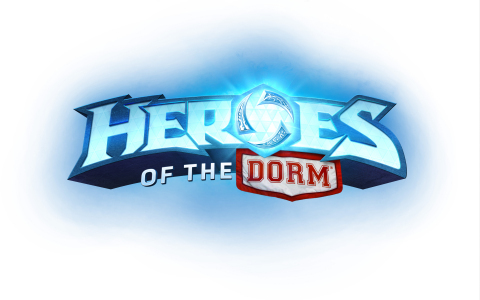 Raycom will produce the weekly, one-hour Heroes of the Dorm program, featuring schools competing in the tournament’s Atlantic Coast Region. The original series, which will cover competition as well as spotlight player and team stories, will be broadcast across Raycom Sports’ syndicated network of affiliates in more than 50 markets in the United States. Teams vying for the 2018 Hearthstone Collegiate Championship will have their hands full as they battle for their share of $150,000 in scholarship prizing. Each team of three will have to battle through a seven-week regular season and the regional playoffs to make it to the single-elimination championship bracket. Fans can watch the tournament live on www.twitch.tv/playhearthstone. Best known for blockbuster hits including World of Warcraft®, Hearthstone®, Overwatch®, the Warcraft®, StarCraft®, and Diablo® franchises, and the multi-franchise Heroes of the Storm®, Blizzard Entertainment, Inc. (www.blizzard.com), a division of Activision Blizzard (NASDAQ: ATVI), is a premier developer and publisher of entertainment software renowned for creating some of the industry’s most critically acclaimed games. Blizzard Entertainment’s track record includes twenty-one #1 games* and multiple Game of the Year awards. The company’s online-gaming service, Blizzard Battle.net®, is one of the largest in the world, with millions of active players. Tespa is the premier college gaming network in North America, dedicated to creating a home for gamers on every campus. Recognized as the leader in college esports, Tespa cultivates student communities that host epic gaming events on campuses in the United States and Canada, and plans to distribute more than $1 million in scholarship prizing in 2018 through intercollegiate leagues. Tespa has had more than 5000 teams from more than 1400 universities compete in its college tournaments and has empowered student leaders to become entrepreneurs in the gaming industry. Charlotte, N.C.-based Raycom Sports is a leader for compelling storytelling, production, and content distribution across all platforms. With an award-winning production team, Raycom creates original feature programming such as Football Saturdays. Raycom is the syndicated rightsholder of Atlantic Coast Conference men’s basketball and football since 1982, and manages live television broadcasting, original programming, archival footage, mobile applications, social media, the official ACC website and the ACC Official Corporate Champions program. Raycom also serves as the digital content, marketing, video and broadcast production partner of The Basketball Tournament (TBT). Raycom manages client activations and hospitality at ACC FanFest at the ACC Football Championship and ACC Basketball Tournaments. Raycom Sports’ parent company Raycom Media, owns and/or provides services for 65 television stations and 2 radio stations located in 20 states covering 16% of U.S. television households. Cautionary Note Regarding Forward-looking Statements: Information in this press release that involves Blizzard Entertainment's expectations, plans, intentions or strategies regarding the future, including statements about the dates and features of Heroes of the Dorm 2018, the Tespa Collegiate Series—StarCraft, and the Hearthstone Collegiate Championship, are forward-looking statements that are not facts and involve a number of risks and uncertainties. Factors that could cause Blizzard Entertainment's actual future results to differ materially from those expressed in the forward-looking statements set forth in this release include unanticipated product delays and other factors identified in the risk factors sections of Activision Blizzard’s most recent annual report on Form 10-K and any subsequent quarterly reports on Form 10-Q. The forward-looking statements in this release are based upon information available to Blizzard Entertainment and Activision Blizzard as of the date of this release, and neither Blizzard Entertainment nor Activision Blizzard assumes any obligation to update any such forward-looking statements. Forward-looking statements believed to be true when made may ultimately prove to be incorrect. These statements are not guarantees of the future performance of Blizzard Entertainment or Activision Blizzard and are subject to risks, uncertainties and other factors, some of which are beyond its control and may cause actual results to differ materially from current expectations. Tespa, Blizzard Entertainment’s college esports network, has revealed its lineup of tournaments for this year, including the 4th Heroes of the Dorm.